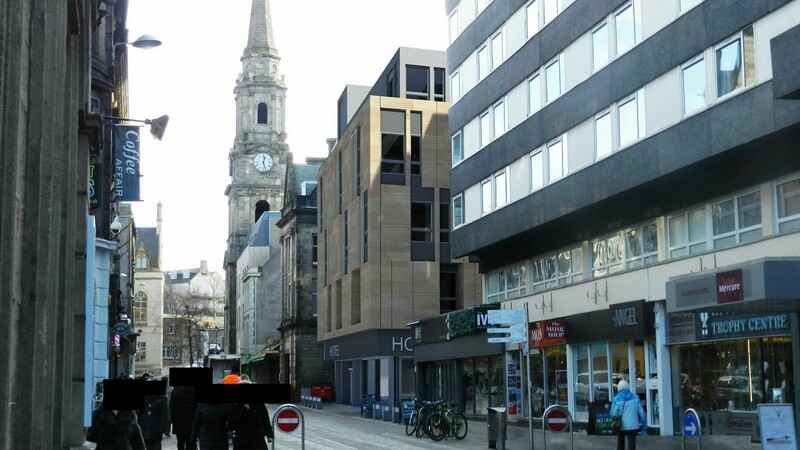 A prominent Highland Council office block in Inverness is to be converted into a 79-bed hotel by Colin Armstrong Architects and Kingsmills Hotel to meet growing accommodation demand in the city. 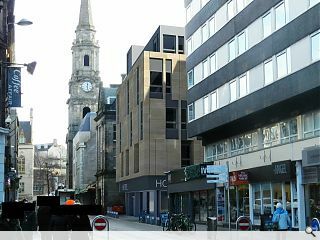 The unloved Church Street block occupies a prime city centre spot but is in need of extensive refurbishment, converting existing office space to hotel rooms and adding an additional upper storey, recessed from the street. In a statement the applicant wrote: “The open plan floors and plentiful windows give great flexibility to the upper floor space allowing options to be explored in terms of elevational treatment. Proposed work would see window cill levels lowered to maximise views and light with a new staggered façade finished in porcelain rainscreen with light grey cladding panels used for the upper level extension.